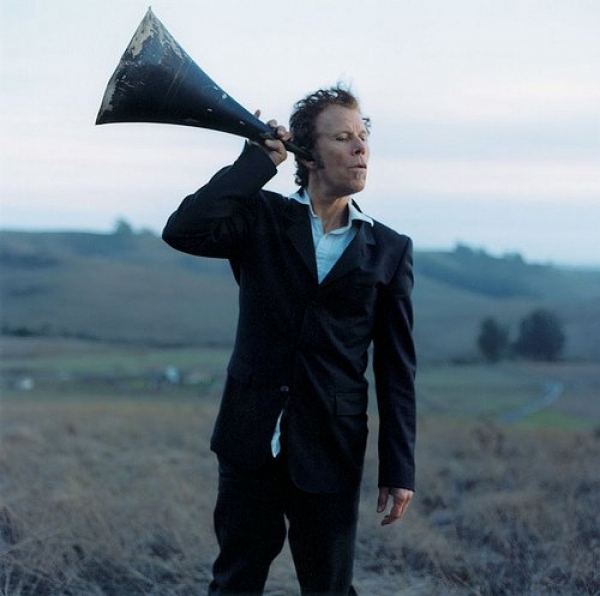 What can you say about Tom Waits that he wouldn't say about himself? Creating a unique, brilliant and vibrant music keeping a cloak of anonymity through the years that he spent in fame. Recently, I've found myself stuck behind his music. As a writer, you find yourself hiding from the ever impending doom that is writer's block and every time it rears it's ugly head, Tom Waits has the ability to pull me through my slump. Having spent his early life giving up on the luxuries that modern society deem so necessary - in one of his many interviews, the conversation turned to the direction of the simplicities he enjoyed: I've heard stories from people who are involved with your record company, they wanna wine you and dine you when you come to town but all you want to do is hangout in cheap bars on eight avenue. - which could be attributed to him throughout his life and career. Tom Waits was a small time musician who turned big. One of his more inspirational pieces, and the one I will often turn to when my own inspiration is lacking, would be Martha off his Asylum years album. Having wrote it when he was only twenty-four, it tells the story of two old lovers. The way he created such a gripping tale, with all the various implications and darker nature and curves that life throw out when you move down its long and winding road, is not something any young man would understand. Tom Waits, on the other hand, was able to create the realism between the two characters, Martha and Tom Frost, and their journey through life in a short time frame. Tom Waits is such a one-off that even his juvenilia suggests wisdom beyond his years: Great praise to the writer of the iconic song! His early life was spent in the aforementioned cheap bars and coffee shops. Tom was truly dedicated to the art and would do anything and everything he could to create the stories that his fans came to know and love. From the classics, to the experimental years, Tom Waits creates harrowing melodies and beautiful tales that inspire and nurture his listeners. My own father even using Somewhere off his album Blue Valentine as a wedding song. And though his styles may change so drastically that if you didn't know it, you'd not pick up on it in various movies or TV shows (Such as in Fight Club), one of my favourite quotes relating to Tom Waits came from critic, Daniel Durchholz, who said Tom Wait's voice sounded like "it was soaked in a vat of bourbon, left hanging in the smokehouse for a few months, and then taken outside and run over with a car". And though he's now a married man with three kids, he's had a life of standing on stage with the greats (Roy Orbison and Bruce Springsteen to name a few), he's created a plethora of seedy and grotesque characters, and he kept his life hidden in the shadows, Tom Waits has managed to win the hearts of millions across the world. A true inspiration and teacher, dedicated to his art!